Label Noir, an aftermarket Rolex dealer, has created the ultimate Franken-Rolex – a Milgauss with a tourbillon. The watch, created for a Label Noir customer – takes all of the austerity of the Scientifically-minded Milgauss and adds the wackiness of a Tourbillon. It’s the watch equivalent of adding a huge spoiler to a Mercedes G500 truck. Rolex Milgauss with the complication of the Tourbillon? A somewhat crazy customer who wishes to remain anonymous and Label Noir, a creative luxury brand dedicated to ultra personalization. A fascinating cocktail with a backdrop of respect for the fundamentals. In case of an similar request, waiting time is three months! of watchmaking. It rekindles personalization, one of the noblest traditions. Welcome to the heights of the most desirable luxury, that of being able to get involved in the creation of your own watch. The first watchmakers used to work mainly on order and therefore in customization mode. 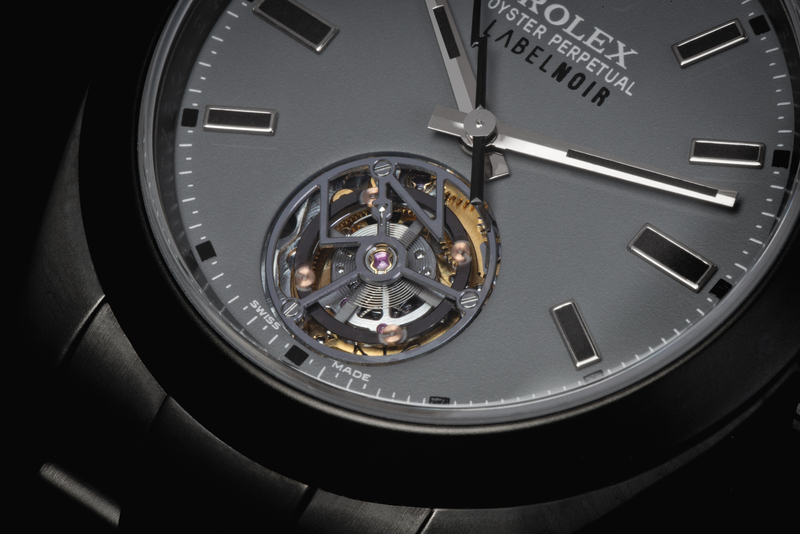 This way of doing things is closely linked to the history of watchmaking. Once the creation was finished, they used to sign the dial and added to their first and last names the place where their workshop was located. The service, which features a loud autoplaying video, focuses primarily on selling PVD-coated Rolexes and other luxury watches. These odd customs – including this betourbilloned Milgauss – are one offs they make for special clients. You can, however, get a Daytona with lime green hands or change the face of your Submariner to match your plaid pants.